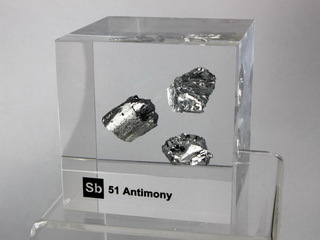 Discovered in 1450. 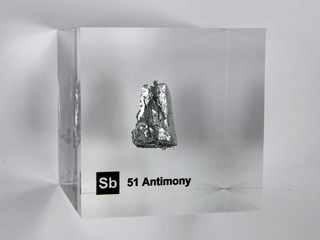 Elemental antimony is generally found in one of two allotropes and has both metallic and non-metallic properties. 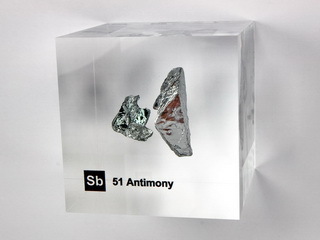 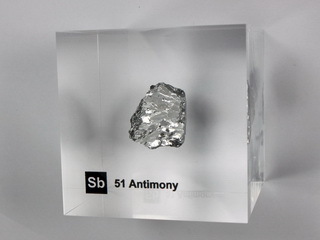 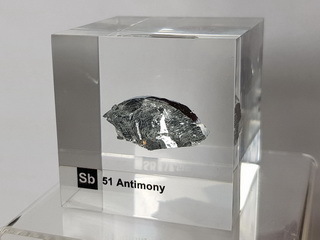 The main source of this element is Stibnite (Sb2S3), an ore which whilst being widely distributed is not very plentiful (hence the abundance of only 0.2 ppm of antimony within the earth's crust). 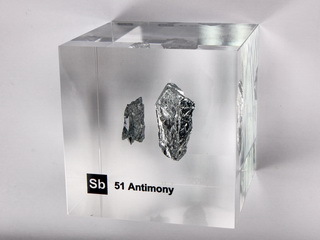 Antimony is a relatively stable element and is not attacked by dilute acids or alkalis. 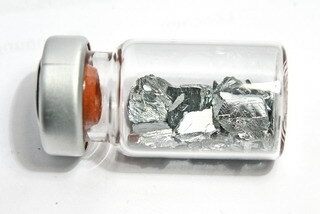 It is a poor electrical and thermal conductor. 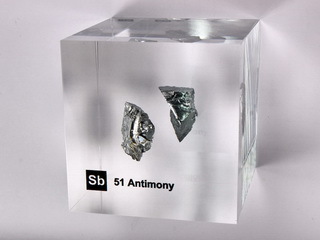 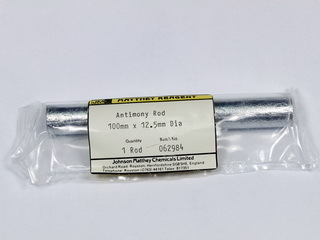 Applications of antimony and its alloys include its use as an alloying element for hardening other metals, a bearing material and in batteries. 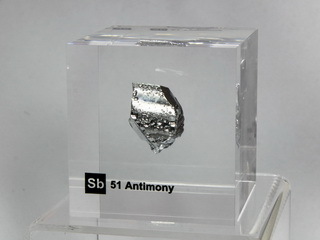 High purity antimony is used in the semiconductor industry. 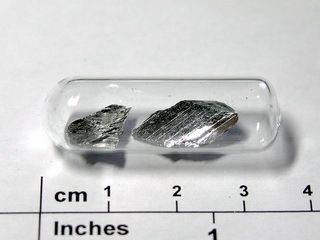 Amount: 1 Stück / 1pc.